- Deal 2 damage to an opponent's character. 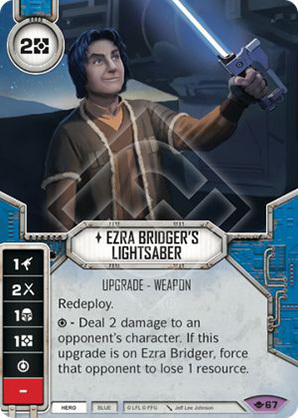 If this upgrade is on Ezra Bridger, force that opponent to lose 1 resource. Way of the Force #67.